Former Vice President Joe Biden is speaking out against the regressive Trump regime in the wake of this week’s sweeping election victories by Democrats in Virginia and elsewhere throughout the country. Voters delivered their first forceful rebuke of President Trump and his party on Tuesday night, with Democrats exploiting Mr. Trump’s deep unpopularity to capture the governorships in Virginia and New Jersey and make significant inroads into suburban communities that once favored the Republican Party. The Democratic Party’s crowning success of the night came in Virginia, where Lt. Gov. Ralph S. Northam, an understated physician and Army veteran, won a commanding victory for governor, overcoming a racially charged campaign by his Republican opponent and cementing Virginia’s transformation into a reliably Democratic state largely immune to Trump-style appeals. A resounding defeat tonight for President Trump. Voters around the country rejected the ugly politics we have seen this past year. Instead, they chose candidates who unite and inspire us. This Twitter storm comes in the wake of the former vice president’s November 1, 2017 speech at the Chicago Council on Global Affairs, where he told the audience that Trump is a “charlatan” taking advantage of middle-class voters who support him. You know, big nations can’t bluff and what the president doesn’t realize, drawing all of these red lines with regard to North Korea and then not following up diminishes our power around the world, sends out signals that are dangerous. And so we’ve got to stop this tweeting. We’ve got to stop this sort of – it is so – I’ve tried to stay out of the mosh pit, the president and I, Obama and I have, but it’s childish. It’s time to grow up. It’s time to grow up and act like a real leader. 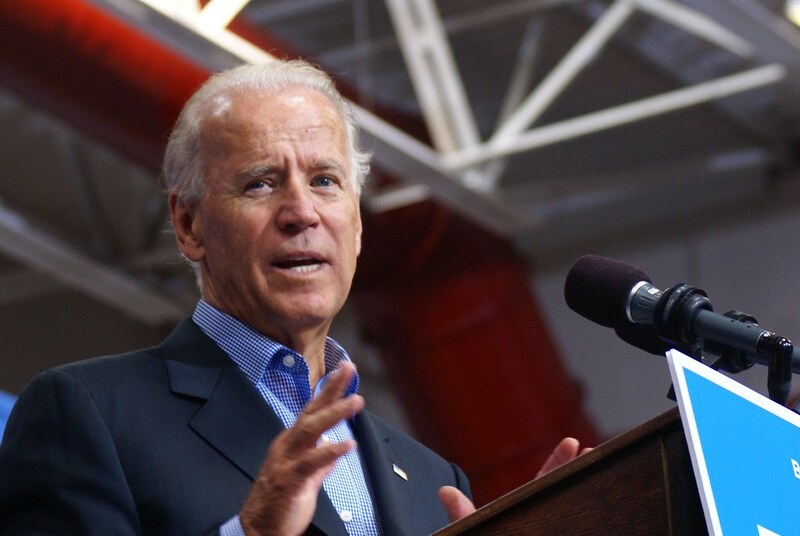 Biden-endorsed candidates were on course for a clean sweep. And Obama’s rallies in New Jersey and Virginia, which drew thousands to hear his lectures that the party’s base had gotten “complacent” in non-presidential elections, appear to have energized the minority voters that Northam’s campaign had worried might stay at home. While the northern Virginia results will get the most national attention, Northam ran up his lead throughout Virginia’s entire urban crescent — stretching from the Washington suburbs through Norfolk. Both Obama and Biden are showing an appetite to play surrogate roles in 2018. Biden has already waded into December’s Alabama Senate special election, and has done nothing to tamp down speculation that he might run for president in 2020. They’ll be the most sought-after Democratic surrogates over the next year. Sen. Bernie Sanders – 52 percent to 39 percent. There is a lot of road to travel before 2020, and there is the ongoing Trump-Russia investigation being conducted by Special Prosecutor Robert Mueller; but, in the mean time, Biden is a much welcomed participant in American politics.